Steal This Look: A Modern Brooklyn Kitchen, Ikea Cabinets Included. 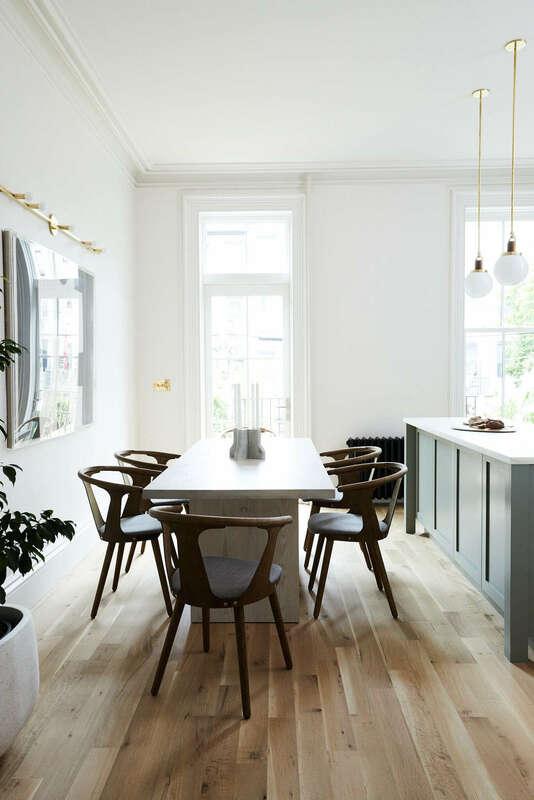 For the renovation of their 1890 Victorian townhouse in Park Slope, Brooklyn, the owners turned to firm Frances Mildred for the architectural design and Sheen Murphy of Nune for the interiors. 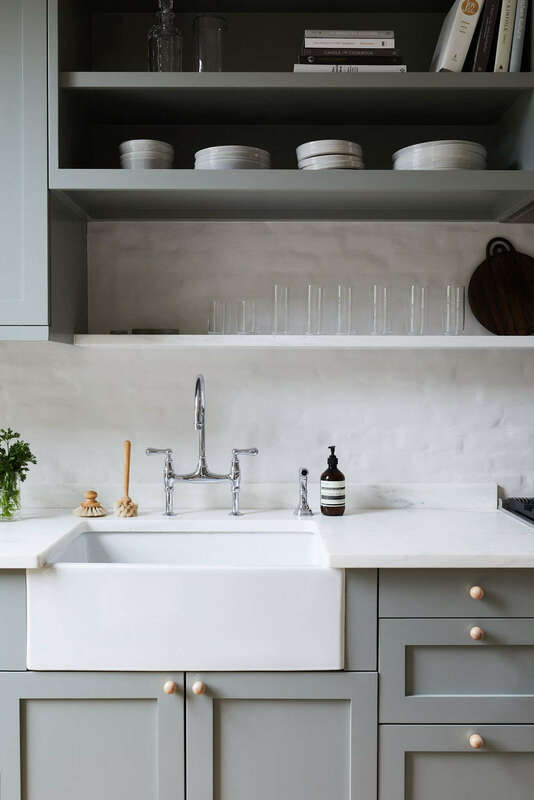 The kitchen is a mix of Ikea inner cabinets (with SemiHandmade Shaker fronts), classic appliances, and finishes from local New York designers like Allied Maker, Vonnegut Kraft, Hawkins New York, and more. Here’s a resource guide to recreating the look. Above: The kitchen layout is simple with a single island and wall of cabinets. Photograph by Nicole Franzenfrom Rehab Diary: Monochromatic Luxe in Park Slope. Above: The owners and their team chose a farmhouse sink and chrome bridge faucet for a classic look they would never tire of. Photograph by Nicole Franzen from Rehab Diary: Monochromatic Luxe in Park Slope. Above: The dining room adjacent to the kitchen island. Photograph by Nicole Franzen from Rehab Diary: Monochromatic Luxe in Park Slope. Above: The interior walls of the Brooklyn home are painted with Sherwin-Williams Origami White (SW 7636)at Sherwin-Williams.  Above: The Farrow & Ball Pigeon paint color is painted on the kitchen cabinets. Above: The kitchen countertops are white marble from ABC Stone. 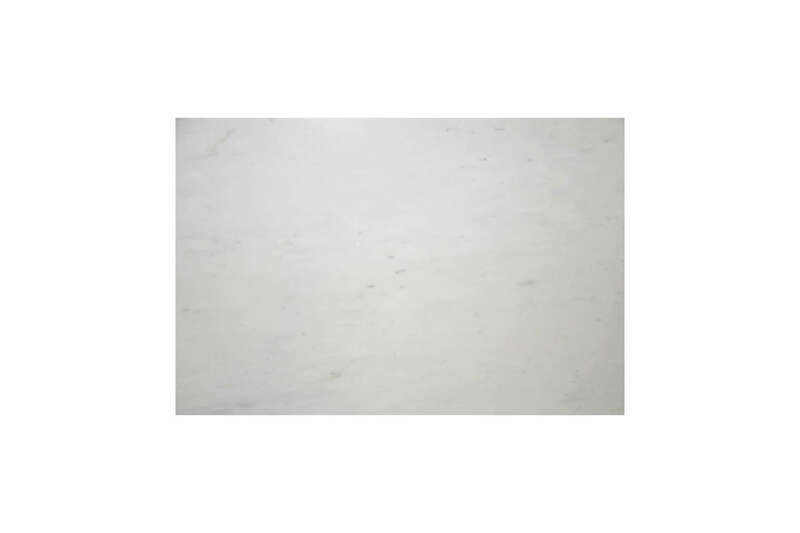 For something similar, see the Bianco Carrara Pisanino at ABC Stone. 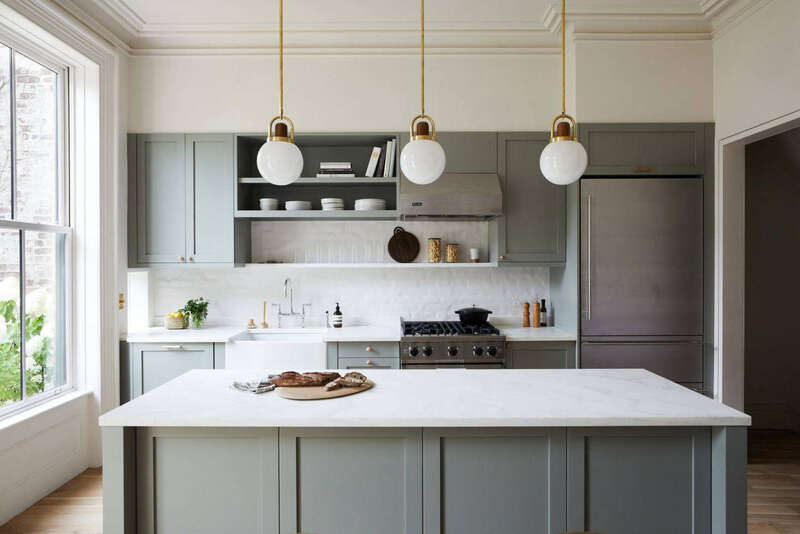 Above: The kitchen is made up of Ikea Sektion cabinets with SemiHandmade DIY Shaker Doors painted in the Farrow & Ball color above. Contact SemiHandmade for ordering information. 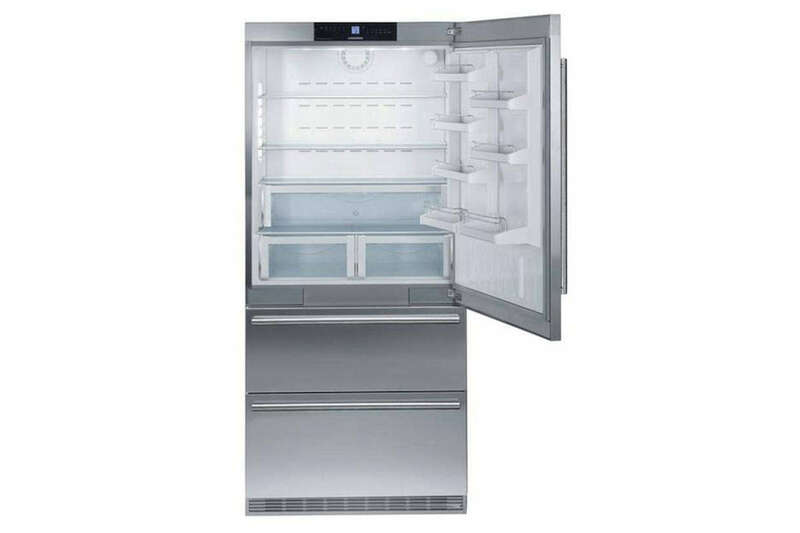 Above: The Leibherr HC-2060 Built-In 36-Inch Refrigerator offers dual-compressor refrigeration at a significantly lower price point than Sub-Zero and Miele; it’s Energy Star–rated and has garnered good consumer reviews. The shelving and lighting are not quite at the level of the top brands, but the freezer is conveniently divided into two drawers; $5,349 at Plessers. 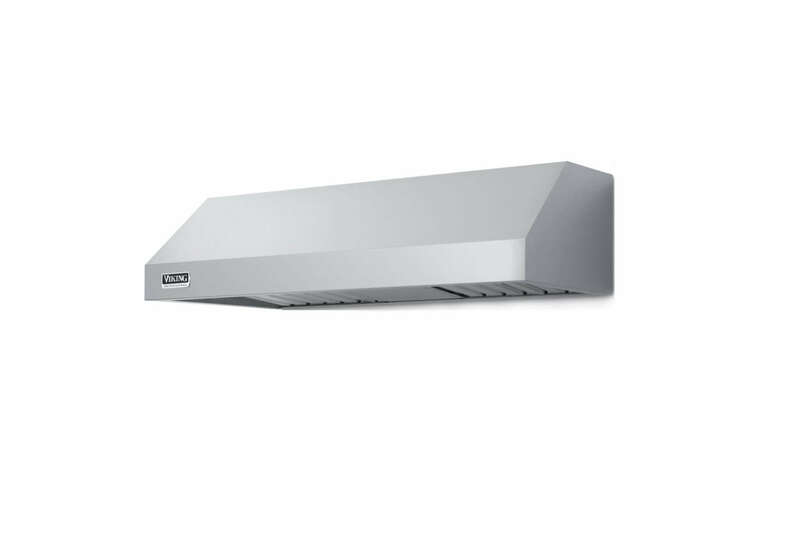 Above: The Viking Professional 5 Series (VWH3010LSS) 30-Inch Under Cabinet Range Hood is $1,034 at AJ Madison. 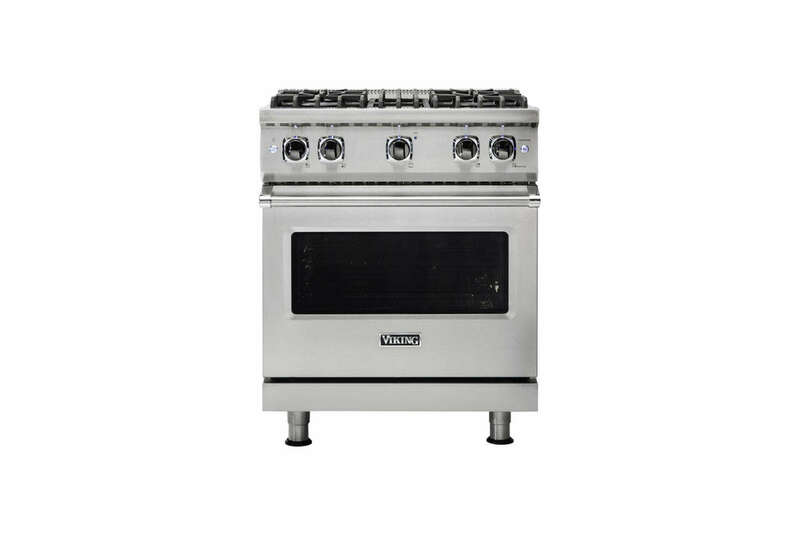 Above: The Viking Professional 5 Series (VGR5304BSSLP) 30-Inch Freestanding Gas Range is $4,849 at AJ Madison. 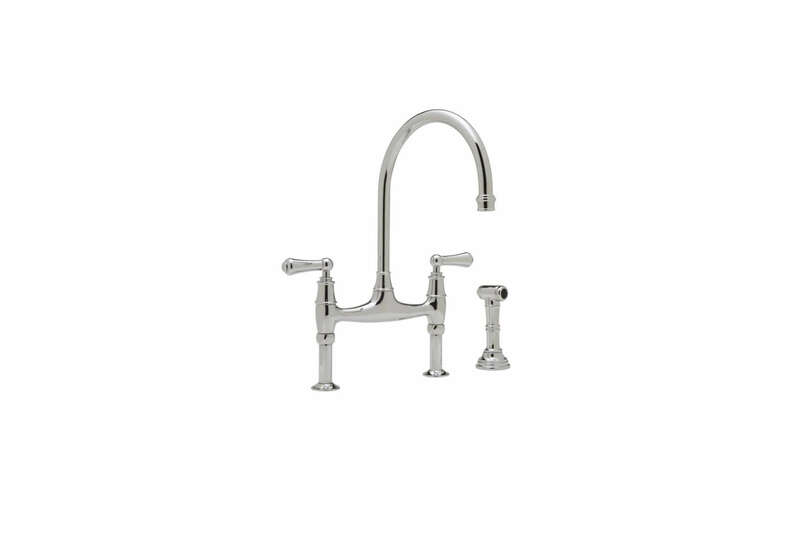 Above: The Perrin & Rowe Bridge Kitchen Faucet with Side Spray (U.4719L-EB-2) in Chrome is $1,317.75 at Faucet Direct. 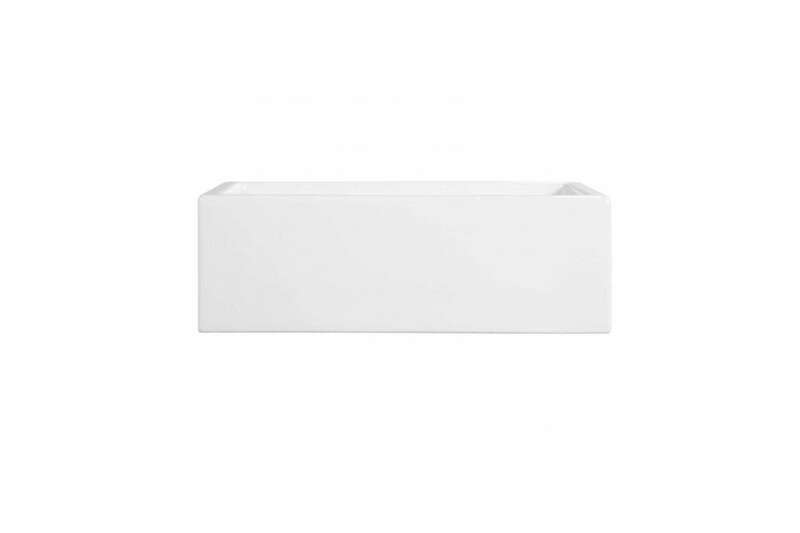 Above: The 30-Inch Risinger Fireclay Farmhouse Sink in Smooth Apron White starts at $729 at Signature Hardware. For more see our post 10 Easy Pieces: White Kitchen Farmhouse Sinks. 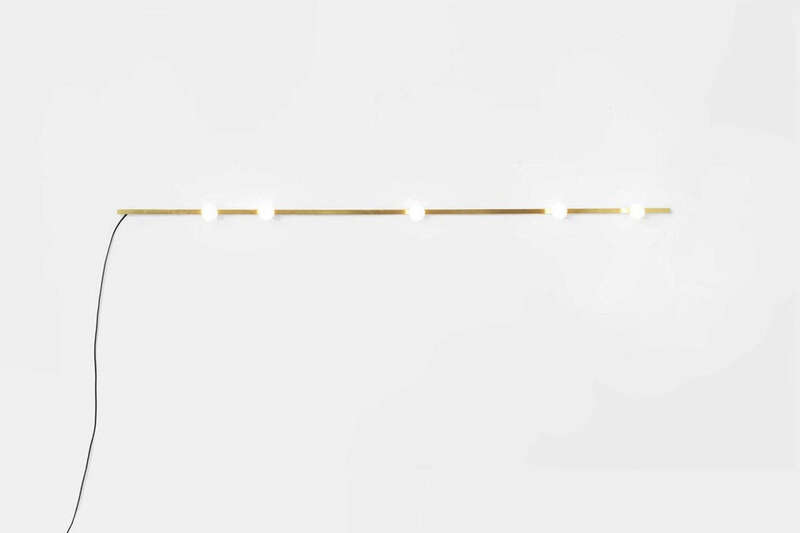 Above: The wall sconce in the dining area of the kitchen is the Lambert & Fils Dot Line Wall Lamp in Brass available at Studio Twenty Seven. Contact the studio for ordering information. 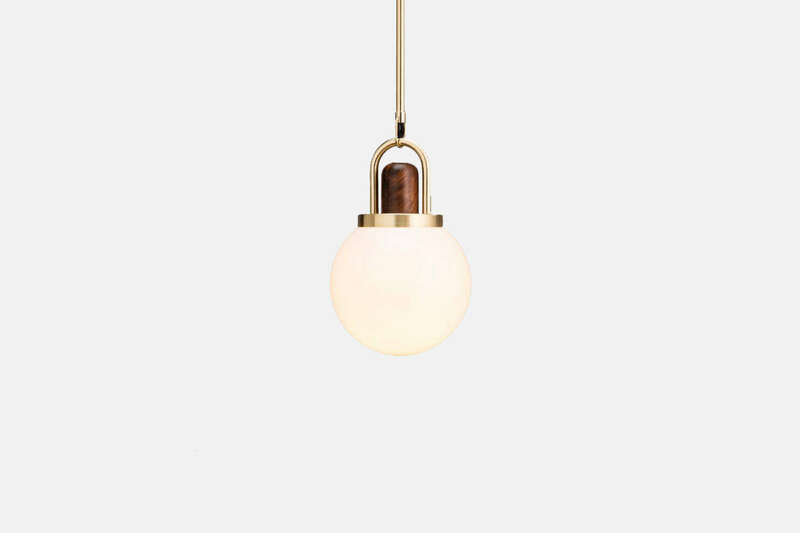 Above: The Allied Maker Arc Globe 08-Inch Pendant in Brass and Black Walnut is $950 at Allied Maker. 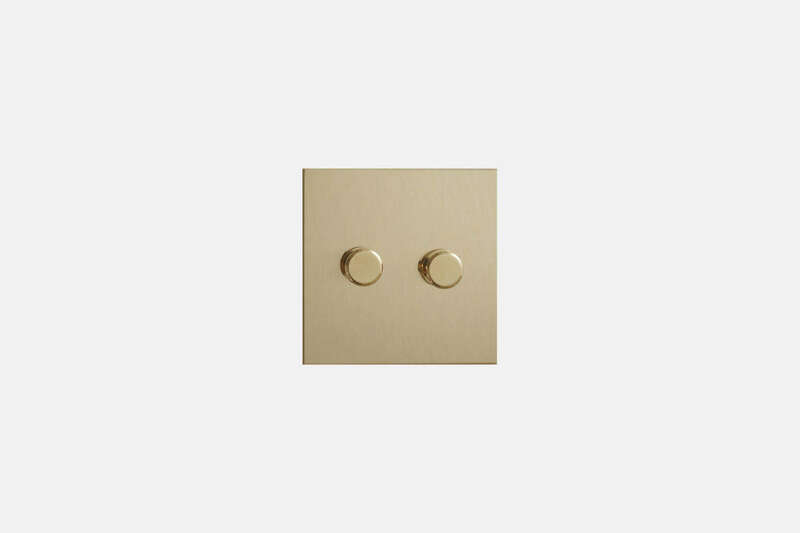 Above: The Forbes & Lomax Unlacquered Brass Rotary Dimmer is featured in the kitchen. Contact Forbes & Lomax for ordering information. 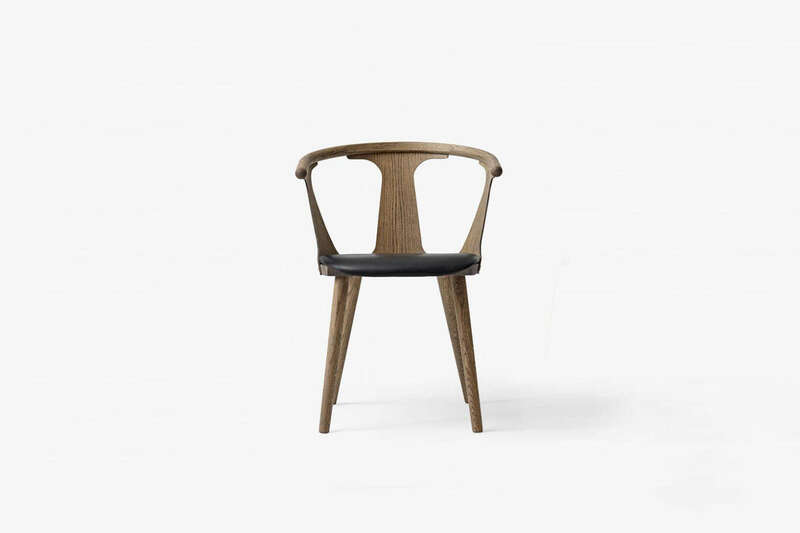 Above: The dining chairs are the In Between Chair by Sami Kallio for &Tradition in smoked oiled oak. Contact &Tradition for more information. Above: The dining table is from Crate & Barrel, now discontinued. 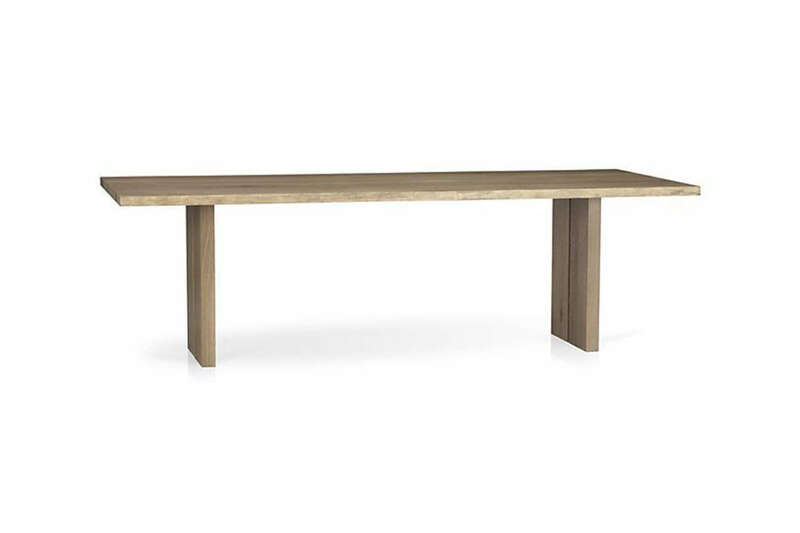 Something similar is the Crate & Barrel Dakota Dining Table in European white oak; $1,799 to $1,999. 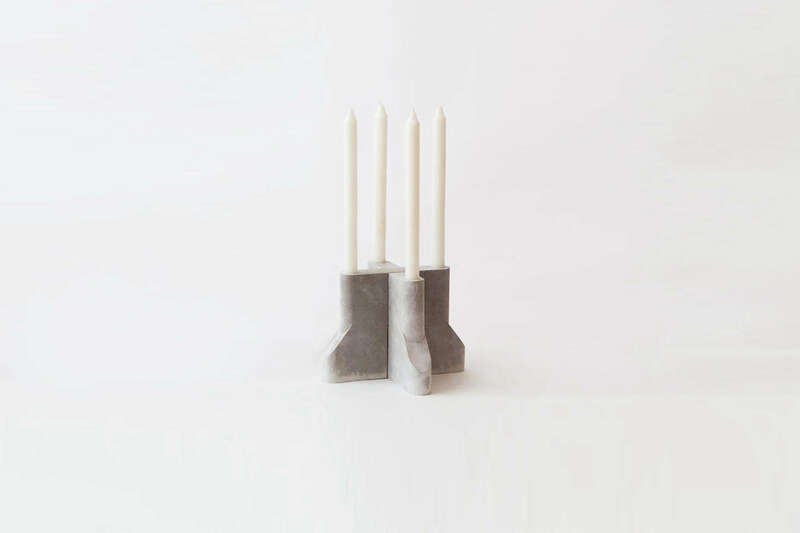 Above: The candelabra on the dining table is the Vonnegut Kraft Dune Candelabra in grey concrete. Contact Vonnegut Kraft for more information. 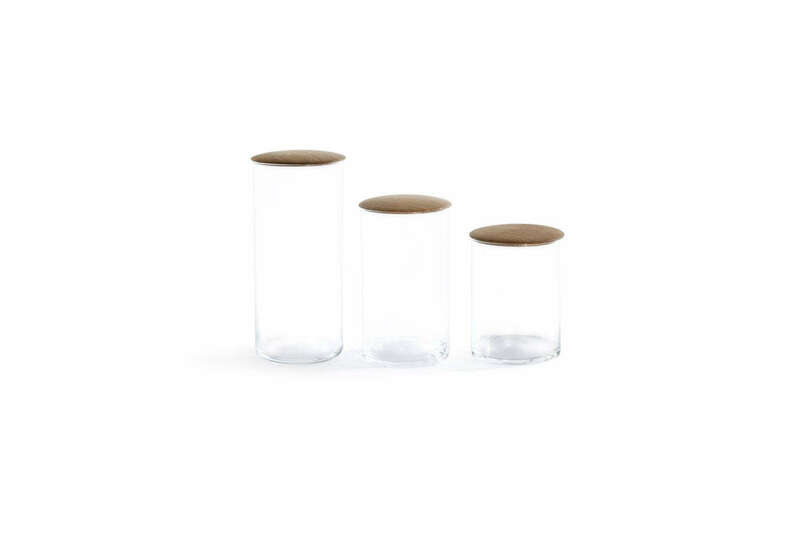 Above: The Hawkins New York Simple Storage Containers come with a maple or oak top; prices from $20 for the mini to $45 for the large. 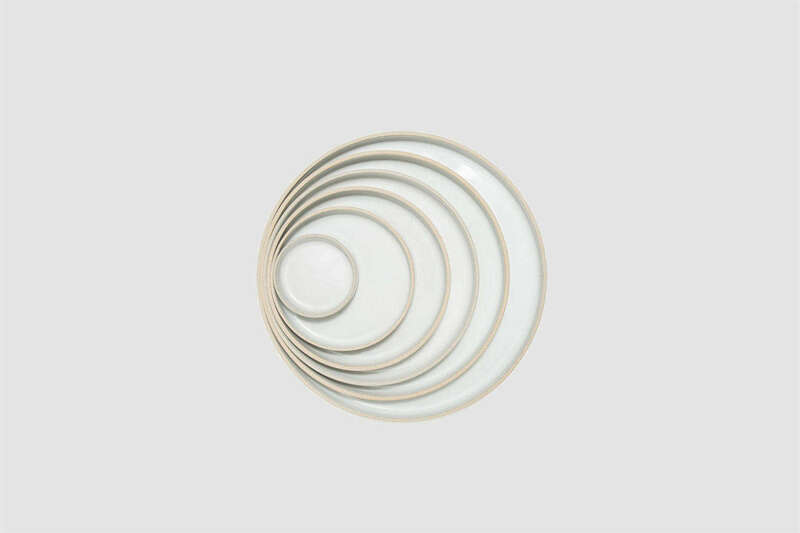 Above: The kitchen is stocked with with Hasami Porcelain Plates in Grey. 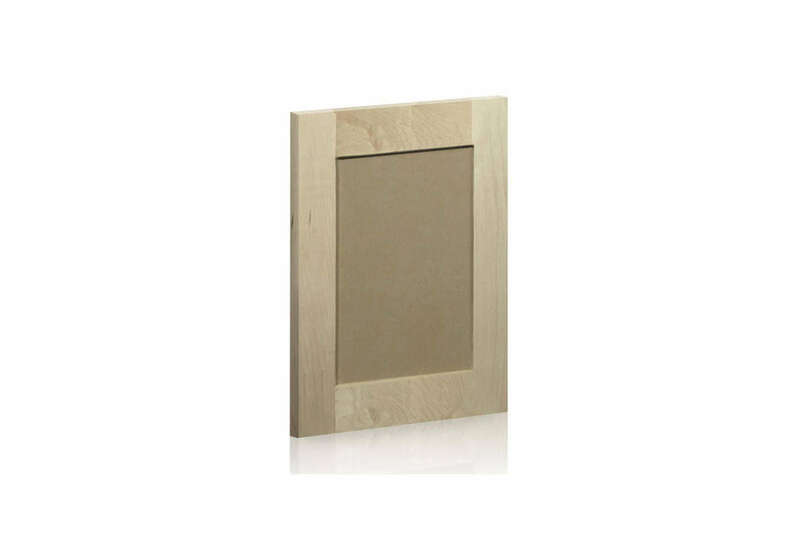 The largest size, the 11 3/4 Inch Plate in Grey is $96 at Need Supply. 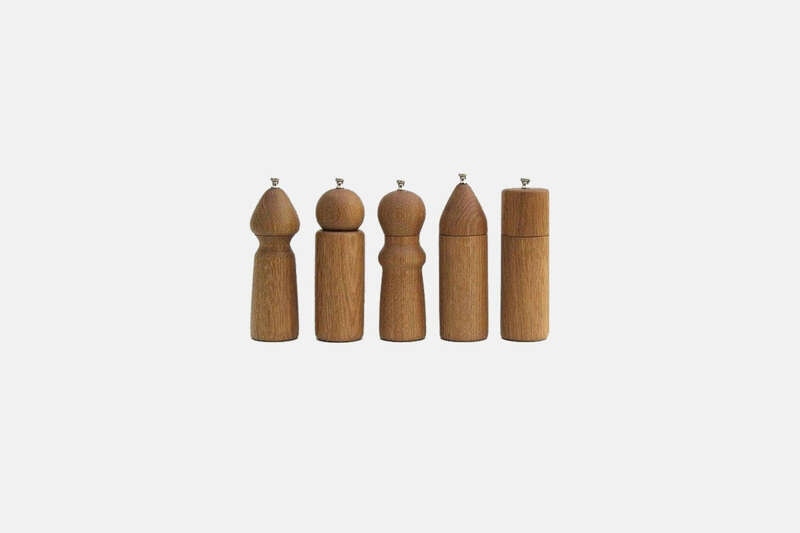 Above: Handmade by De Jong & Co., in LA, these elegant White Oak Salt and Pepper Grinders are available in a variety of shapes and sizes; $150 each from Nickey Kehoe. 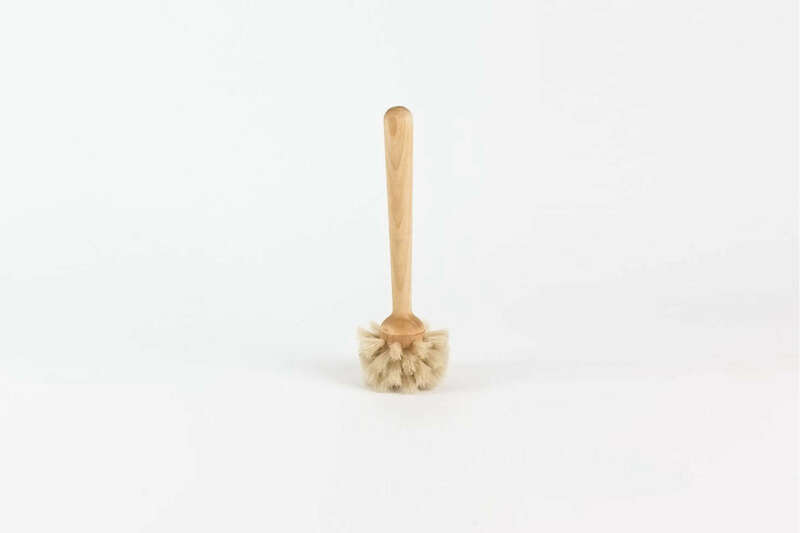 Above: The Iris Hantverk Maple Pan Brush is £23 at Always in Colour. 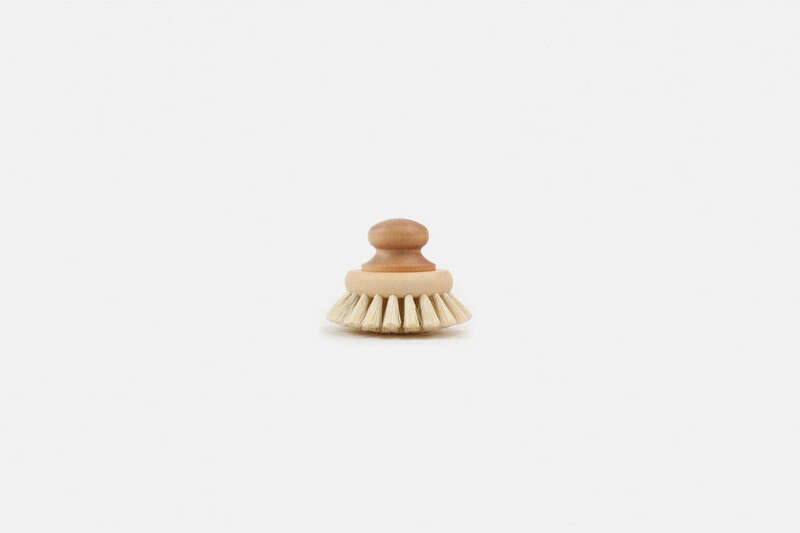 Above: The Iris Hantverk Glass Brush made of birch and horse hair is $24 at Humble & Grand. 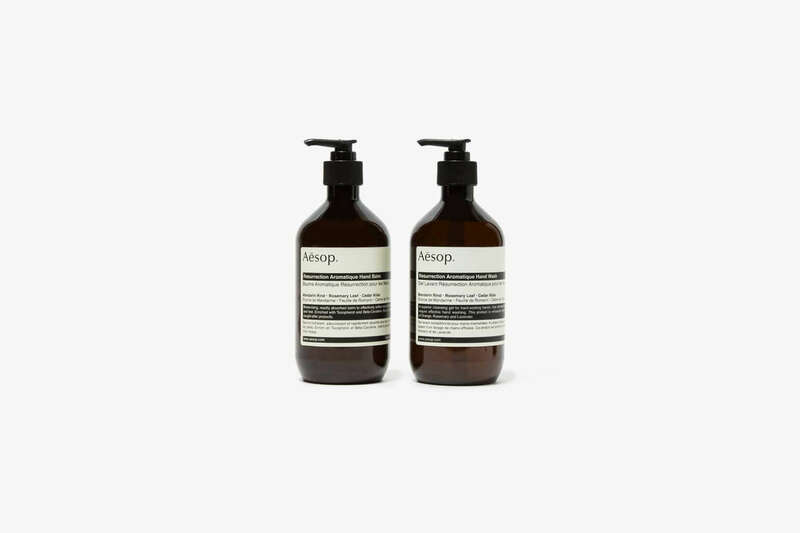 Above: The Aesop Resurrection Duet Hand Soap and Hand Lotion is $123 at Mr Porter.